Role Model Movement is a non-profit organization that mobilizes role models, giving them a platform to present their perspectives, and their fields of expertise in a new light. This month’s presentation will focus on Education. 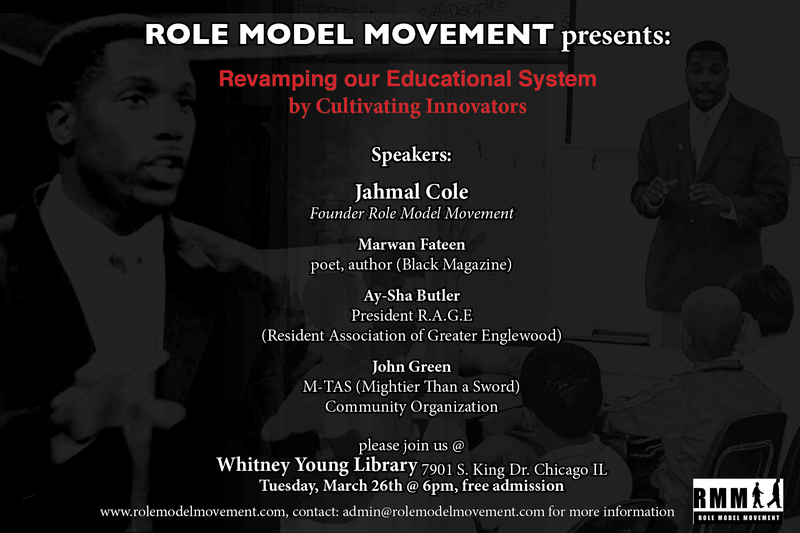 Each Speaker will offer fresh ideas and new solutions on how we can support and improve our Educational System, and how culture and environment factors make the African American student’s learning experiences unique. PlayStreets: Englewood Style – March 29th!